Hollow Knight is getting a sequel called Hollow Knight: Silksong. Team Cherry announced the news with a blog post, reveal trailer (featured above), and a twenty-minute vlog discussing what the team is doing and why. The game will star Hornet in an all-new adventure featuring new towns, friends, quests, tools, and over 150 new enemies. 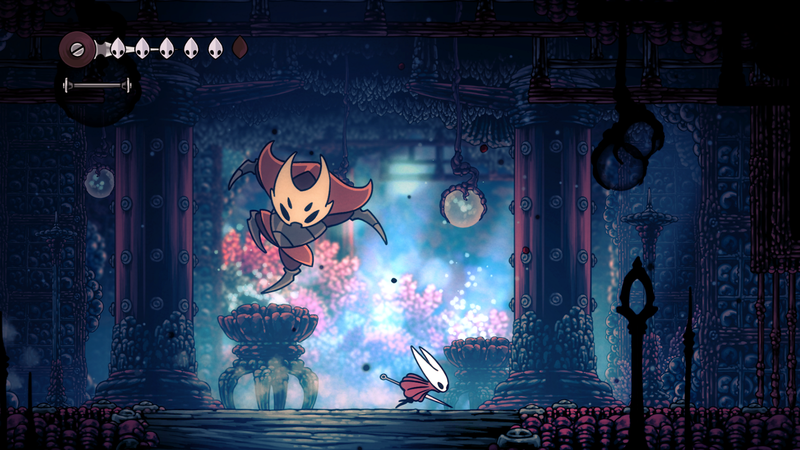 Hollow Knight: Silksong will launch first on Nintendo Switch and PC, but “more platforms may happen” according to the team’s official website. In the “details from Team Cherry vlog” the Game Designers Art Gibson and William Pellen expanded on this. We haven’t confirmed all the consoles. That’s just because it’s just the three of us [making the game]… and we don’t want to start diving into things… that are probably more than our bandwith. I think basically we can’t confirm any other platforms at launch but we’d love more platforms whether that’s at launch or not, we’re not sure. So we’ll just keep talking about it as we go. Considering the fact that the first game eventually made its way to the PlayStation 4 and Xbox One, there’s a good chance we’ll be getting it at some point. But with no release date set for the game, for all we know it could be on PS5. If you’re one of the people who backed Hollow Knight on Kickstarter you’ll be getting a copy of Hollow Knight: Silksong for free on either platform. Rather than travel down below, Hornet is going to ascend to the peak of a haunted kingdom. Below are the official game details.